DoughChicks’ Pies! 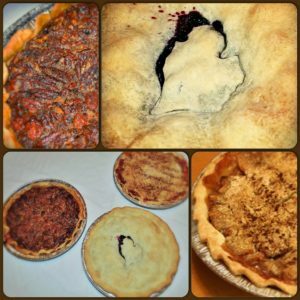 Pecan, Blueberry, or Dutch Apple Authentic Pie/$10.00* Now Available-Gluten Free/ $15.00* Made from “scratch” including the crust! Please order by: Decemeber 16 (Monday) for December 20 (Christmas) delivery Order: Phone– 269-832-8347 Email– denise@doughchicks.com *There may be a minimum order required depending on location.